What is Lipo Cavitation Treatment? During the actual procedure, a small amount of gel is applied to the skin where excess fat needs to be removed. 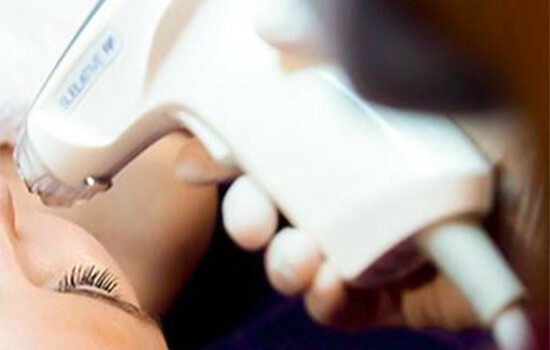 Then the ultrasound device is applied to the skin during a 20 to the 30-minute treatment session. It’s a painless outpatient procedure that doesn’t require anesthesia and has few known negative side effects. The ultrasound device called a transducer, used in Lipo Cavitation procedures is calibrated only to target fat cells. When ultrasonic waves are directed to the area of fatty tissue you want to remove, they damage the fat cell membranes. Because the device is calibrated only to target fat cells, no other damage will occur to surrounding tissues or organs. During the procedure, ultrasonic waves begin to break down the fat cells being targeted. This causes them to release triglycerides and other fatty substances that are a key component of the flabby tissue. During the week after a lipo cavitation treatment, your body will process the excess triglycerides and fatty substances through normal physiological processes. Most people who choose to have Lipo Cavitation see measurable reductions in fat within the first week. However, a treatment schedule of 10 to 20 weekly sessions is typical to achieve desired weight loss and body composition changes, according to a study in the Journal of Cutaneous and Aesthetic Surgery. Before your first treatment, you’ll meet with your doctor for a physical exam and consultation. In most cases, the ideal candidate for Lipo Cavitation is someone who is at least moderately active and follows a healthy diet. Lipo Cavitation is not intended to treat morbid obesity but works most effectively to remove unwanted fat from targeted areas of the body. If you are a good candidate for lipo cavitation, your doctor will discuss your goals and desired body image, and then establish a treatment plan to meet your needs. Lipo Cavitation is similar to liposuction in terms of the areas of the body where it can be used. The most common areas of the body, where Lipo Cavitation is used, include the abdomen, face, neck, back, cheeks, thighs, chin, hips, upper arms, and buttocks. It has also been used to reduce excess breast tissue in overweight men. What to do Before and After Treatment? Before Lipo Cavitation, you should already be moderately active and eat a healthy diet. In the week before a treatment session, most doctors will recommend that patients drink about 8 cups of water daily, avoid alcohol, and tanning. And it’s important to follow these recommendations. Adequate fluids are needed to help your body process the excess fat and triglycerides that will be released as a result of the procedure. Too much alcohol will limit liver function needed to process these substances. And tanning prior to a treatment can make your skin ultra-sensitive to the ultrasonic waves used in the treatment. After treatment, you should continue adequate amounts of water and getting regular exercise to help your body process the excess triglycerides and fatty substances released during the procedure.